It is not uncommon to see a group of visitors arriving in Hannibal by riverboat or bus. In July a group of travelers is coming whose initial stop in America’s Hometown will not be the riverfront or historic district, but the city’s airport. At the April meeting of the city’s airport advisory board, Robin Carroll, Hannibal Regional Airport fixed base operator, reported that a group of 15 aviators and their passengers will be arriving in mid-July. A common bond shared by the group, aside from wanting to visit Hannibal, is that its members will all arrive in Comanche aircraft. Built by Piper Aircraft from the mid-1950s until 1972, Comanches are single-engine, low-wing, all-metal aircraft with retractable landing gear. While most feature four seats, some of the planes were designed to haul a pilot and five passengers. Although the city’s airport is approximately six miles from the downtown historic district, Gail Bryant, director of the Hannibal Convention and Visitors Bureau (HCVB), does not see that distance as an obstacle for visiting aviators. The Comanche club is no stranger to Hannibal, landing here in 2010, according to Carroll. “The Hannibal Convention and Visitors Bureau worked with them on an itinerary several years ago, and we have been working with them this year for their return visit,” said Bryant. Karen Burditt, Hannibal’s finance director, noted during the meeting that the Comanche flying group is just one of many aircraft clubs whose members enjoy seeing the country. Does the HCVB consider flyers to be another potential weekend traveling market? While the HCVB expends considerable time and effort to attract visitors aboard riverboats and buses, flyers are not ignored when it comes to marketing to them as potential weekend visitors. “Flying clubs do not hold large travel marketplaces like bus tour operators do,” said Bryant. 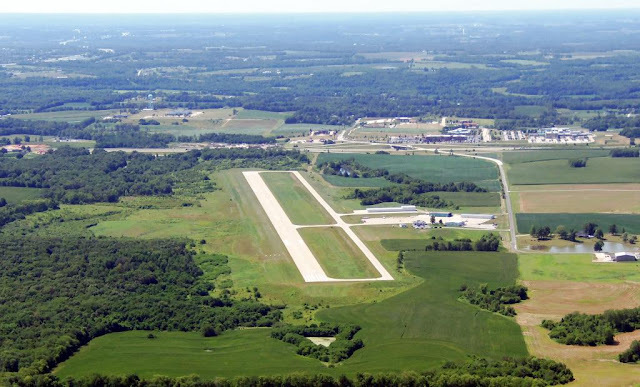 “However, Hannibal is very well situated to be attractive to hobbyist flyers, as our airport is relatively close to downtown.